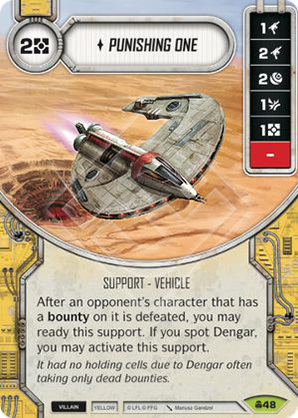 After an opponent's character that has a bounty on it is defeated, you may ready this support. If you spot Dengar, you may activate this support. It had no holding cells due to Dengar often taking only dead bounties.